Always wanted to teach dance with Design Dance but feel unprepared to jump right into the classroom? We’ve got the perfect opportunity for you! 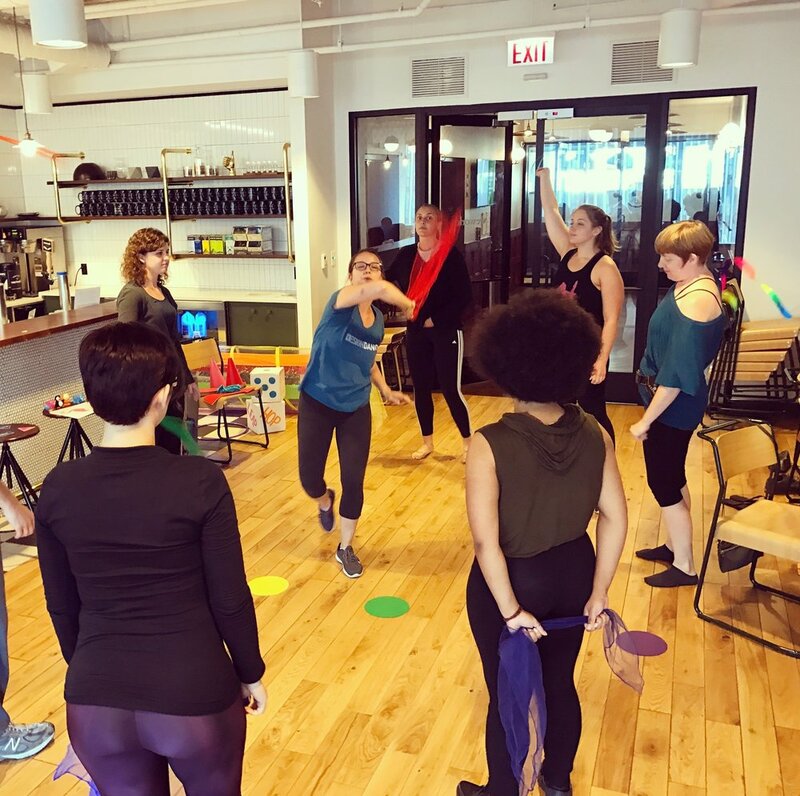 Design Dance continues their mission to spread quality dance education in the Chicago community by cultivating great dance teaching artists through our new Summer Teacher Training Intensive. In this 2-part training, teachers will gain the skills and confidence necessary to command and inspire a classroom full of Design Dance students through theoretical, discussion-based workshops, and our hands-on student teaching opportunity. At the conclusion of the workshop, instructors gain valuable training in leading a variety of different Design Dance classes offered throughout the school year. In this portion, teachers will get hands on experience by teaching different styles of dance to students in one of our community centers. New teachers will learn through real time experience by teaching and observing other teachers. Training is free of charge to all accepted teaching artists. Applicants must be available for both parts of training on August 14-16th and August 19-23rd (there is no training on August 17-18th). Applicants must also be interested in teaching for Design Dance starting Fall 2019. Applications are due June 10th.